Local supply faults -broken or ungrounded neutral. A surge in excess of the SPD’s rating. There are 3 x main categories of lightning surge arresters. 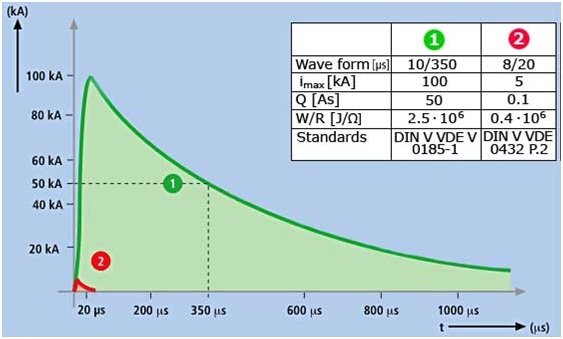 Meaning of 20kA (8/20μS) impulse current. In 8/20μ The first value (8) is the rise time (from 10% to 90% of peak). The second value (20) is the duration for the test transient to decrease to half its peak value. NECT National Electrical Code Articles 245, 680 and 800. NFPAT 780 Lightning protection code recommendations for the use of surge protection devices at a facility service entrance.